Having personally written articles and books, and made these available for sale on the Internet, I speak from first-hand experience. Internet marketing has a wealth of opportunities to make good money but, as in all forms of business, there are costs associated and a certain amount of effort involved. The Internet makes online marketing and selling easy by providing various advertising and selling tools. As with all products, revenue is expected to cover the input costs plus effort (time), plus a margin (or mark-up). As a result we have the sales price, a portion of which is the profit. 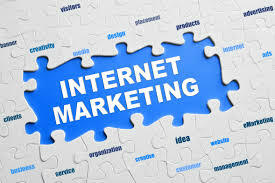 Internet marketing is exactly the same in terms of cost, input and time invested in the work. It does not require much input in terms of raw materials and overhead costs but it does require a great deal of one’s time. And as time is money, labour costs are calculated as: Hours Worked multiplied by Hourly Rate. An important question is, “What is my hourly rate, or how much do I charge for my work?” This depends on how much one needs to earn per month. Let’s say Joe wants to earn $2,580 per month. Joe would equate this with the normal number of working hours in the average month, which is 172 (i.e. 8 hours per day times an average of 21.5 working days in a month). From the information above, Joe’s hourly rate would have to be $15. The business would have to pay Joe $15 per hour for eight hours per day Mondays to Fridays. If Joe were to use a standard costing method to calculate his Internet marketing business costs on an average monthly basis, it would look like this. If Joe worked for 172 hours per month, his total operating cost per hour would be $17.47 (Total average monthly cost $3,005 divided 172 hours per month). To recover all costs, which include the owner’s monthly income from the business, Joe would have to sell products to the value of $17.47 per hour; or $87.35 per day, or $696.00 per week. Or, as mentioned before, he will have to sell products to the value of $3,005.00 per month. If these goals are not reached, Joe may still be making some revenue, but not recovering all his costs. Depending on the method used to do Internet Marketing, and dependant on one’s products – and the demand for them (whether they are software or E-books or Ezine articles is immaterial) – the achievement of this could seem like a tall order. As with all forms of work and business, one gets out what one puts in. It is possible to generate a good income, and in some cases a huge income, from Internet Marketing. The only prerequisite is how and where one advertises and socializes on the social networks. And there is a lot of literary material available on the Internet which will assist new Internet Marketers. One’s email address becomes swamped with emails offering various types of joint ventures with fellow Internet Marketers, and a whole lot more. Be careful in this regard and seek guidance from those who know the ropes.